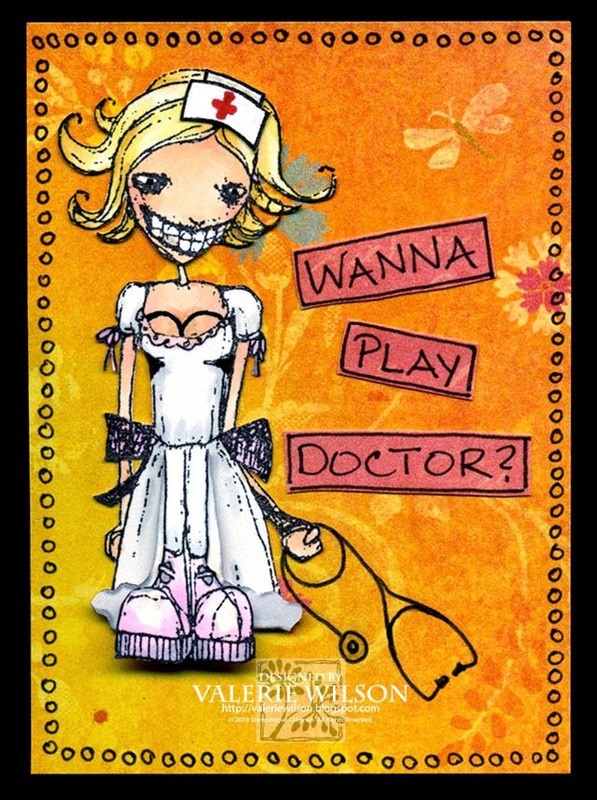 Valerie H. Marshall: Tuesday with Stampotique and a Naughty ATC! Tuesday with Stampotique and a Naughty ATC! Today I'm excited to share an ATC made for an ATC swap on the Stampotique Facebook Group. The theme was "Naughty". Now that's wide open to interpretation!! So I asked hubby to help me come up with some cute ideas. Here's what "we" came up with! LOL! I giggled the whole time I was making it! 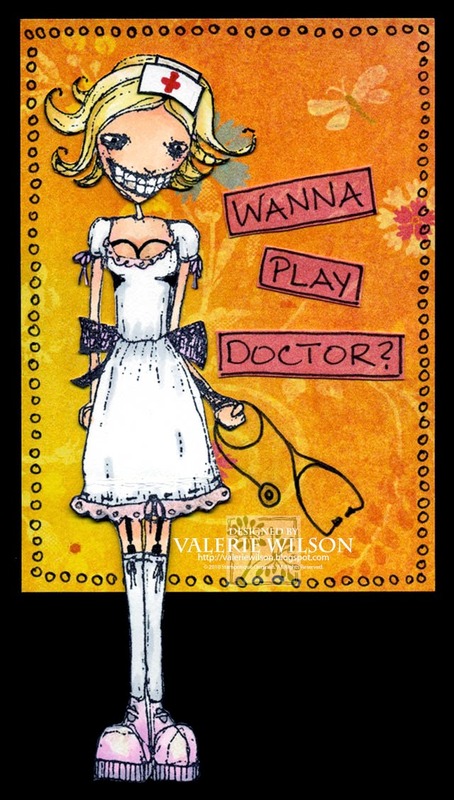 This ATC relies on some doodling to pull the idea together (sentiment, nurse's cap, cleavage, garters, stethoscope, and borders). To make this ATC work, Karin's legs have been folded up to look like she's sitting; however they have not been tacked down so they can be straightened out to reveal her cute garters. Cheeky! (I think I would like your hubby!) Love how you "enhanced" Karin's books to make her a bit more seductive! Naughty nurse!! So full of fun and talented doodling, Val!